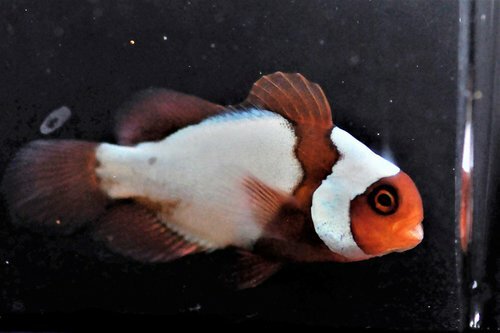 Captive-Bred Thunder Maroon Clownfish is a Maroon Clownfish with a vibrant, solid white body with red face and fins. 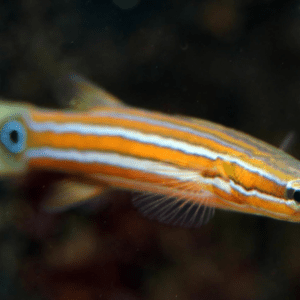 The white coloration of this brilliant and showy beauty is long-lasting and remains into adulthood. 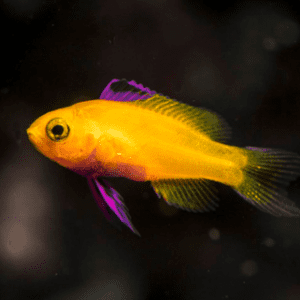 One of the latest varieties and offerings, the Captive-Bred Thunder Maroon Clownfish is sure to please any Clownfish enthusiast. Maroon Clownfish are well known for their intense coloration, oversize fins as well as their confident disposition. 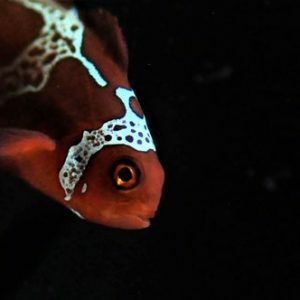 An adult sized Maroon Clownfish with fully mature coloration is a remarkable centerpiece fish for any marine aquarium. When pairing this species, it’s typically best to select individuals demonstrating a dramatic difference in size.